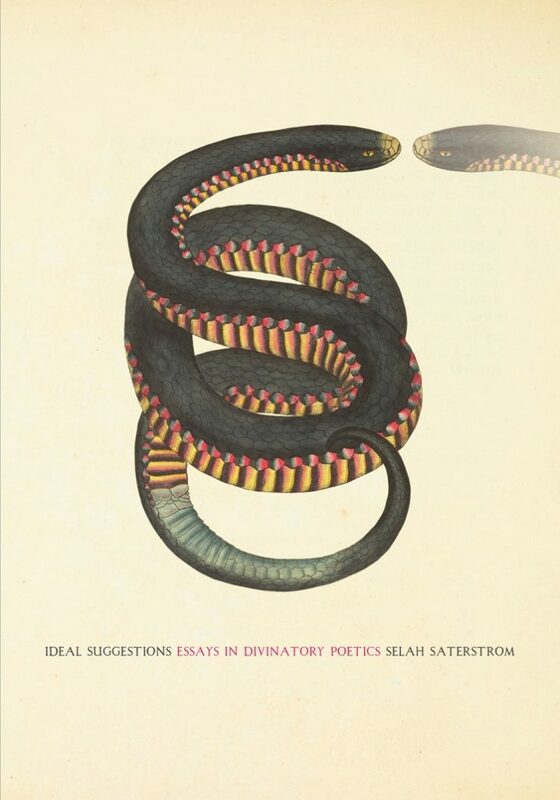 Selah Saterstrom’s far-reaching and innovative collection of essays, Ideal Suggestions: Essays in Divinatory Poetics (Essay Press, 2018), constellates relationships between reading, interpreting, writing, and the history and tradition of divination, centralizing Southern Rootwork Divination. Building a generative framework and foundation for divinatory poetics, Saterstrom prompts readers to engage with uncertainty, mystery, paradox, and the dissipating boundaries between past, present, and future. Indeed, what is sounding and also unsounded rightfully crystallizes Saterstrom’s collection as a whole — a nexus of interconnected voices and voids speaking forth from the wound and inhabiting a space of communion. The book foregrounds divination as a collaboration with the void, which is similar to the funnel, hole, and punctum, all of which Saterstrom both smartly and intuitively contemplates throughout her essays. She forges unions between presence and absence, or what is and what is not, the distance between hole and whole where we learn “[how] the tomb is a theatre and desire is a hammer ringing in the teeth.” In Ideal Suggestions, everything is within reach if we listen. Flipping through the book’s pages, one might even imagine they could gain inspiration and “animated strands of potential” from any single passage. [the] Isenheim Altarpiece contains two sets of wings, displaying three configurations and, based on which pages of this book are open and which are closed, multiple, at times mish-mashed, narratives. As a book, it is consistently out of order. There is no original reading and every reading is original. Origin as: Ace of Swords. Which is, I have come to believe, one of the act of reading’s favorite cards; the card suggests that within contradiction there is extraordinary energy that moves one closer to one’s questions. [let] us say lovers separate: the orchid and the wasp. Thought confers realism upon entities. Or: just plain old, piss poor conditions. Let us say that what we dwell upon, we become, or at least God, if it be God, moves across the waters. Honorable, and also a lunatic: the vision must be clarified through the medium of the outer eye engraving a secret upon the tablet. Gravitation is the vast atmosphere in which we live, where the earth, saturated with iron oxide, is red. Let us say thought-messages sent in any direction come back. They are like light in mirrors. Opposites vanish. I feel its resting form as a kind of ecstatic song. For me, there is a current of the rapturous present, like electricity, shooting through. I don’t believe the song is about anyone’s redemption, in particular. Or that it is about redemption at all. It isn’t the answers of healing and redemption that Saterstrom celebrates, but rather the questions themselves, which forever circle overhead in the rapturous, uncertain, electric, and paradoxical present. 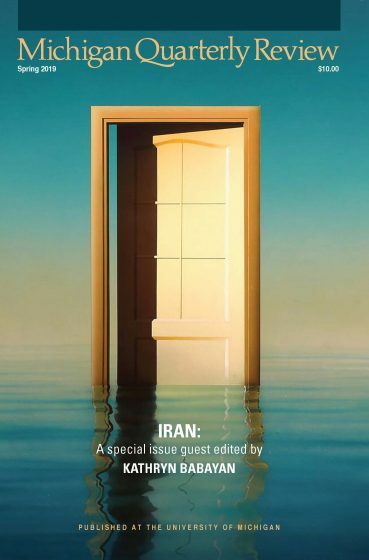 Ideal Suggestions reaches beyond the page and into unknown and furtive terrain, celebrating a journey of infinite connection equipped with the methods, techniques, and strategies for further engagement in divinatory poetics — a gift, dear reader, in darkness. 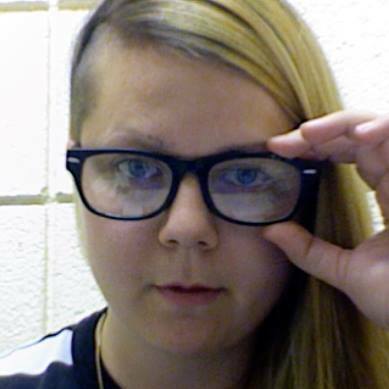 Julia Madsen is a multimedia poet and educator. She received an MFA in Literary Arts from Brown University and is currently a doctoral student in English/Creative Writing at the University of Denver. Her first book, The Boneyard, The Birth Manual, A Burial: Investigations into the Heartland, is forthcoming from Trembling Pillow Press. Her poems, multimedia work, and reviews have appeared or are forthcoming in jubilat, Black Warrior Review, Alice Blue Review, Anomaly, Caketrain, Flag+Void, Word for/Word, Cloud Rodeo, Small Po[r]tions, Deluge, Dreginald, Tagvverk, La Vague Journal, Versal, CutBank, Dream Pop Press, Entropy, Fanzine, and elsewhere. Find out more at juliamadsen.com, or follow her on Twitter @madddsense.